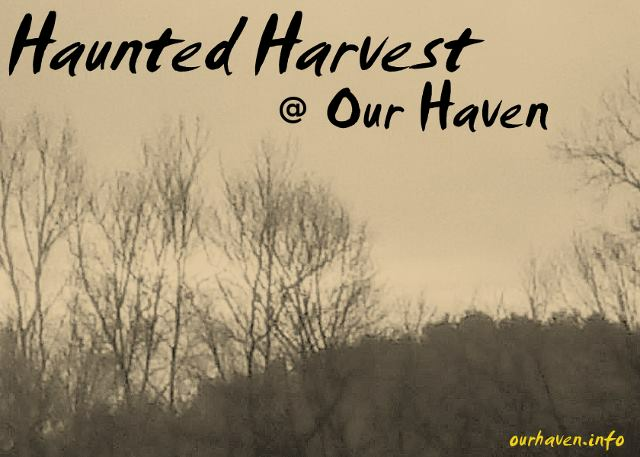 will be at the 2016 Haunted Harvest for a workshop and investigation. 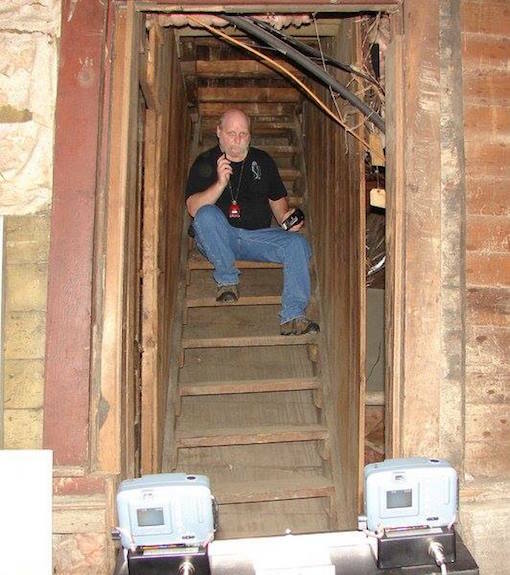 My name is William T. Miller I am a paranormal investigator from Newburgh, Indiana. I am the founder of the Southern Indiana Paranormal Investigators the group was founded back in 2000. 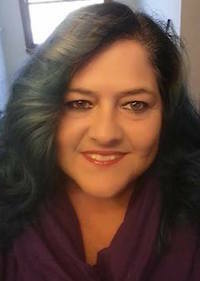 I am also a member of the MESA Project (Multi-Energy Sensor Array) and together we have been doing Paranormal Investigations in AL, DE, IL, IN, IA, KY,TN, PA, Our goal is to gather and collect date that will help people understand hauntings. We consistently work to obtain real evidence of the existence of ghost and strive to maintain a professional approach in the presentation of such evidence. Let's make some Besoms! Bring your favorite herbs, we will have a scavenger hunt for other items needed to make our besoms. If you have a particular wood you would like to have as a handle bring it with you, otherwise we will forage Our Haven for our perfect handles and twigs. 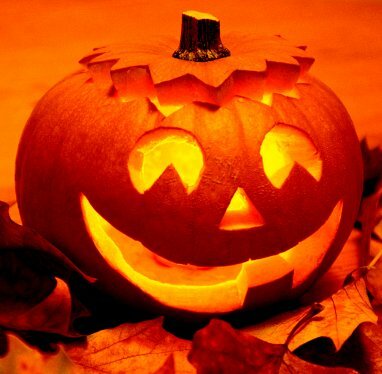 Charms, ribbon and corn straw will be provided, bring your favorite herb bundle. Elizabeth has been practicing her path for over 40 years having had the opportunity to travel across the country and the world. She has learned different aspects of various paths through her travels. She enjoys sharing her knowledge and learning new things. Three years ago Elizabeth started a store, Mystic Wytches Closet, selling products at affordable prices to all. It was then she decided to travel and offer her goods and services at events. Some of her services she offers are workshops on the basics of the craft, Oracle reading, Fire performing, Henna tattoos. Aranon C'ean, has spent almost 60 years wandering this earth and is a retired US Army officer, world traveler and 38+ year student/practitioner of the Olde Ways. During this life he has earned six academic degrees among other mundane, military, magickal, spiritual certifications and awards. A "Wayist", "Guardian of the Olde Ways" and an Eternal Seeker/Student of "The Spiritually Arcane", he strives to find new things to observe and see the wonder in each day. 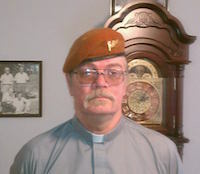 Once described in Pagan Media as "A Very Interesting Man", he is a Teacher, Priest, Internationally Published Author, Master Herbalist, Master Gardener, Master Husbander, Scribe/Historian/Bard, Medic, Sustainable Living Enthusiast, Disabled Veteran, Retired Military Officer, and also a bit of a techno-pagan. He is an eco-spiritualist, an animist and an eternal student of Life and teacher of the "The Dragon's Path". He walks the Spiritual Path of The Olde Ways and is of Native American and Celtic European decent. His exposure to, and study of, many pagan traditions and spiritual paths during the years of his travels give a unique perspective in his oratory. His past certifications as an instructor/teacher along with life experiences immerses the listener in an interactive experience of discovery, learning and participation. He is the Father of Sancturary, a multi-acre Tilth, Smallholding and Spiritual Retreat in the Foothills of the Ozark Mountains of Central Arkansas. He is presently involved in the administration of Sancturary and compiling data and other resources for upcoming pagan related reference material. "A Wytches Cookery" (available in .pdf E-book format at an event near you) ... a pagan primer with over 500 pages of "How and What to do" and over 1000 original recipes from around the world to date, on everything a pagan might use in their spiritual and craft practices from Brews, Colors and Candles to Philters, Tinctures and Waters, and everything in between. Even sections on Food, Folk Remedies and the Naughty Wytchy Stuff with hundreds of cross-references for magickal usage and arcane folk names for common use items! Yearly revisions to add more recipes, submit yours and get a by line! Proceeds from publications pay for travel expenses and donations to pagan charities and festivals!